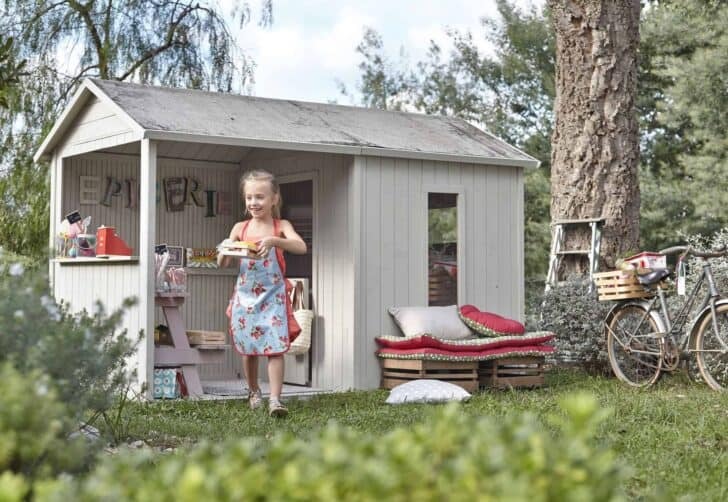 This summer, children will not get bored: small houses like real one, garden tables, pedal karts, playgrounds and even Indian tipis, your garden will become the place of rendezvous. Overview of outdoor games that make us want to go back to childhood! For children's games, small love to imitate their parents! 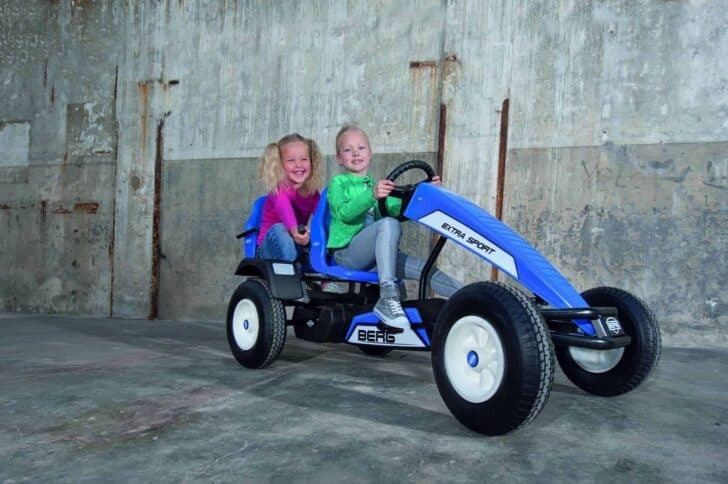 Manufacturers, therefore offer a range of games that allows them to play great: they try gardening, take tea with their friends, to get lunch or even test the sensation of speed with a go-kart. 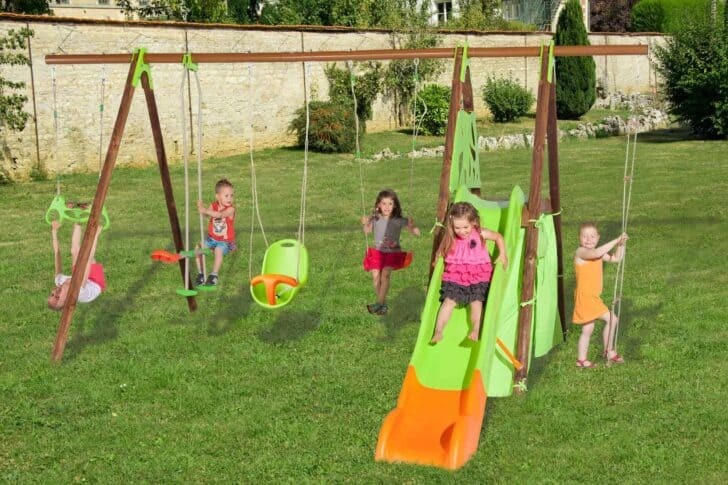 The reliable values have also always side with playgrounds increasingly sophisticated that allow them to vary the pleasures: slides, climbing walls, swings ... They will be very busy! Gardening as Mom and Dad, it is possible! 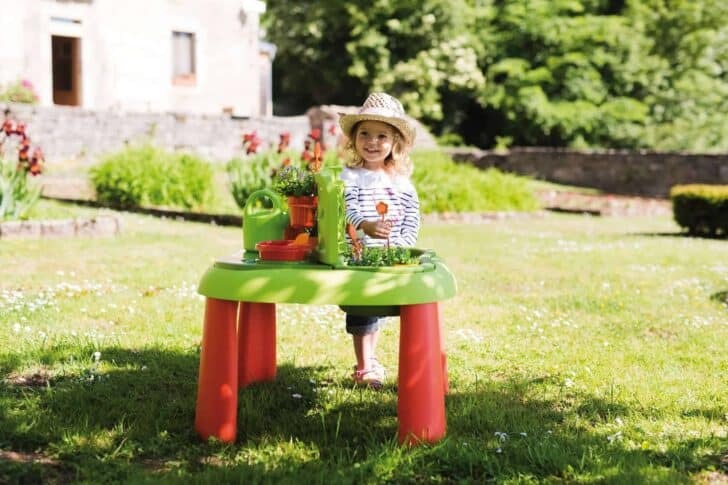 With this comprehensive gardening table that allows younger plant their first flowers. The table includes a work plan to prepare its seeds and a removable tray for planting. 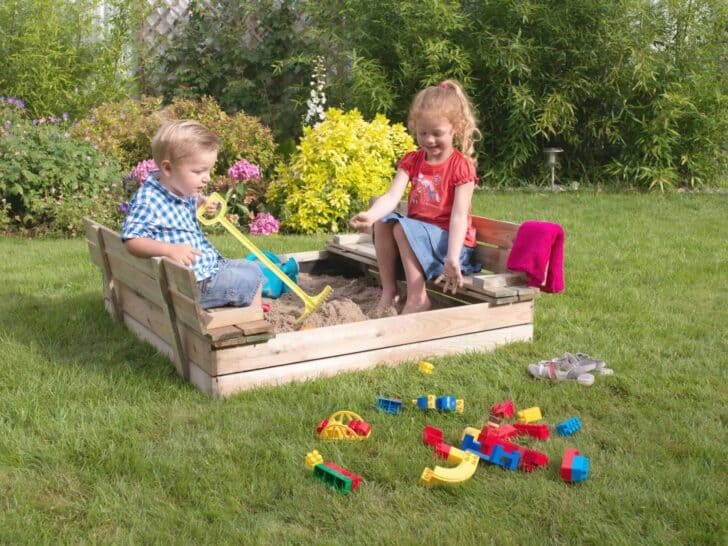 This sandbox with cover promises gaming hours for children 2 to 5 years. Clever, the cover unfolds into benches with backrest and up to four children. 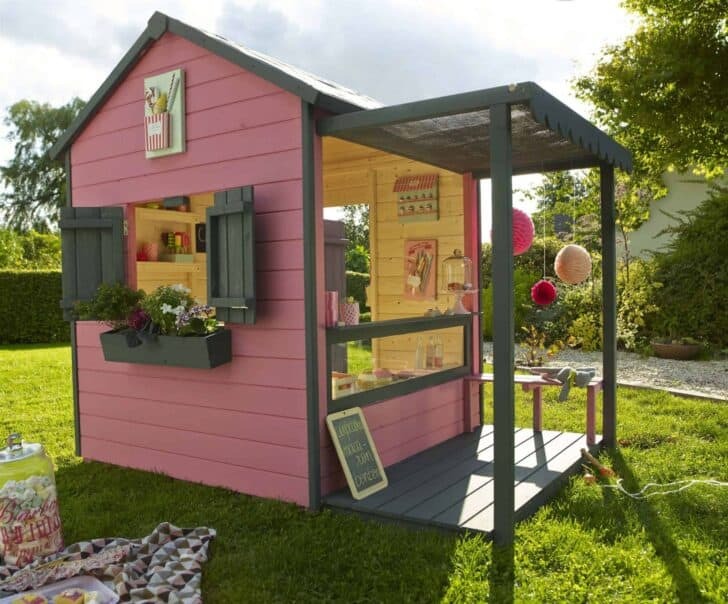 This wooden kids playhouse has all of the great: an awning equipped with a picnic table, a terrace, a wooden gate and even two windows. No need for a concrete slab, simply install it on a flat and stable area and paint before use. From 3 years, children will love to be in this Indian teepee. 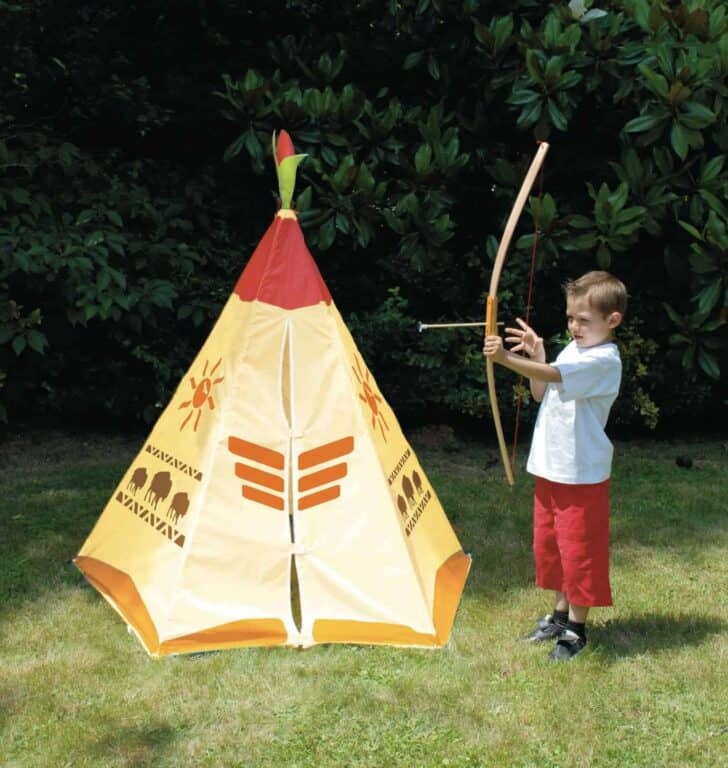 Designed polyester fabric and fiberglass, it naturally finds its place outdoors to delight the whole tribe! Panel slate, bench, showcase, counter ... Nothing is missing for playing the market! 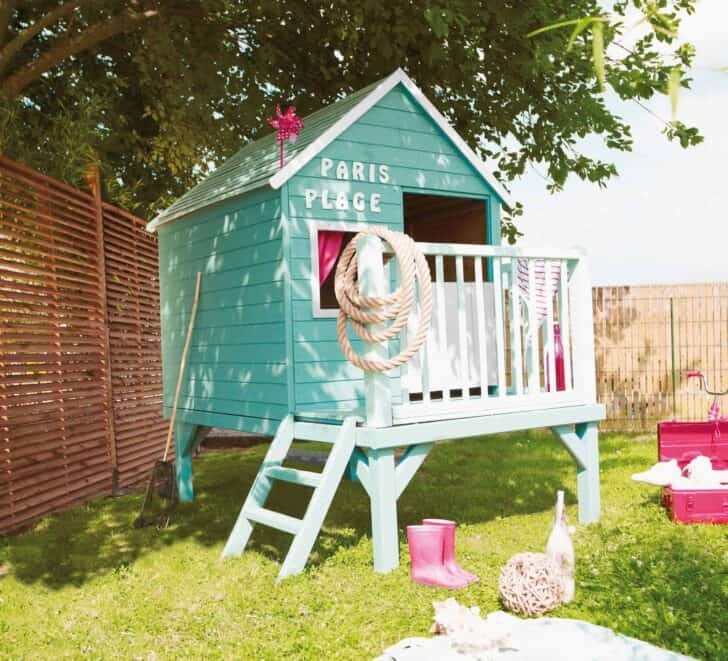 A wooden house without treatment you can paint to allow your children to create their own universe in this kids playhouse. At every age its games, through this structure inspired by those found in public gardens: it consists of a solid and stable frame, easy to install and more modular apparatus that you just assemble it. In this configuration, the child will have fun with a flying carpet, infernal rings, a slide, a platform and a mesh bridge. Climb, hide, dream: this hut on stilts keep all its promises and become a haven for children from 3 to 7 years. This kids playhouse with wood treated autoclave, it is perfectly adapted to the outside and just waiting to be customized. Dedicated to aspiring pilots, this true pedals kart kid version (from 5 years) has a working driving control system: forward, reverse, freewheel, coaster, something to enjoy like on high performance circuits. 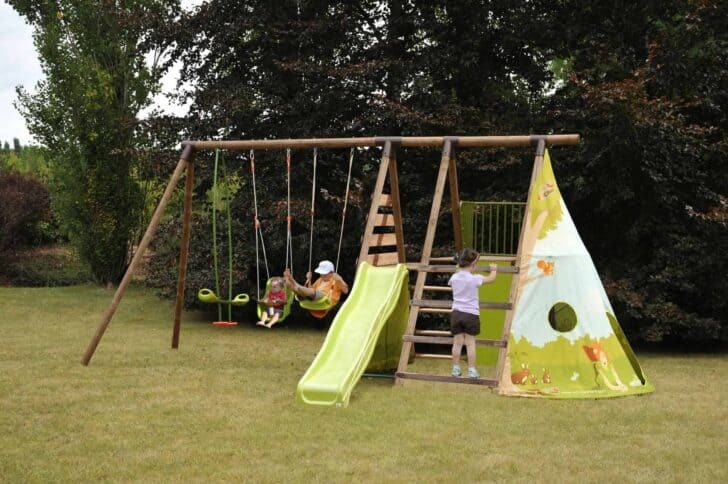 Hard not to find happiness in this very complete playground that will suit children from 3 to 12 years, even babies can try it with the baby seat included (from 6 months). 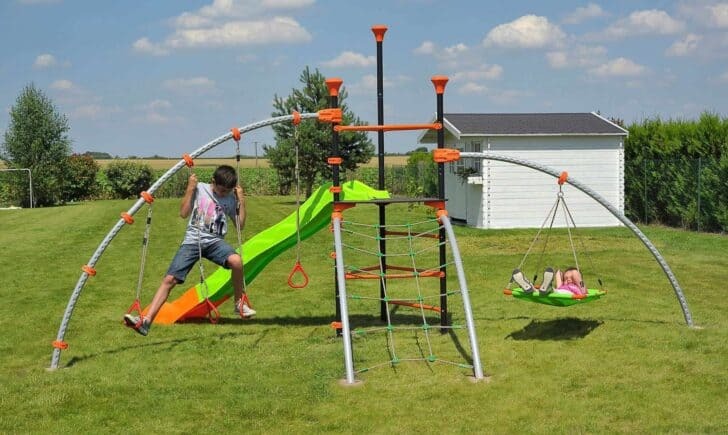 Besides the swing and the slide, a playground is also equipped with a fabric cabin and a high platform with climbing wall. A must in the garden! 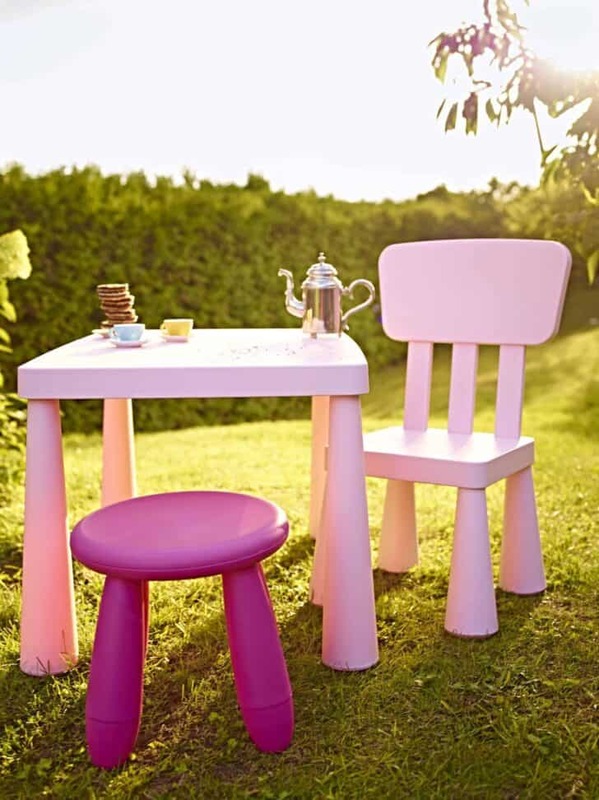 A high table, chairs, and stools that come in different colors: an ideal combination to have tea with his friend (s). 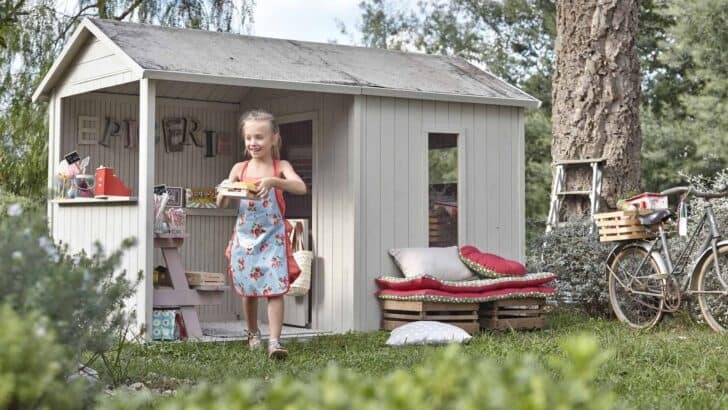 Practical, plastic furniture is easily transportable by a child and not afraid external aggression: it is resistant to water, sun, snow and dust. Massive columns, floor and thick walls (19 mm), this pine playground will resist all assaults of children. While some sway, others climb, play in the sand or amuse themselves by dragging: happiness! A portico, many opportunities for games, for all ages. Baby seat for small 9 months to 36 months, face to face, through the swing and the trapeze rings: it rocks pretty garden! 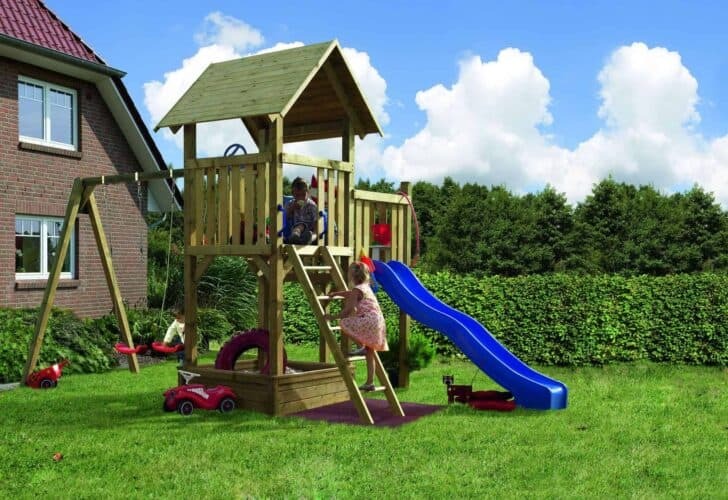 For a pleasant change, this playground also includes a rope ladder, slide and a cabin canvas.